I have set up a minimal example where the issue with Reshaper 7 is proven without a doubt. 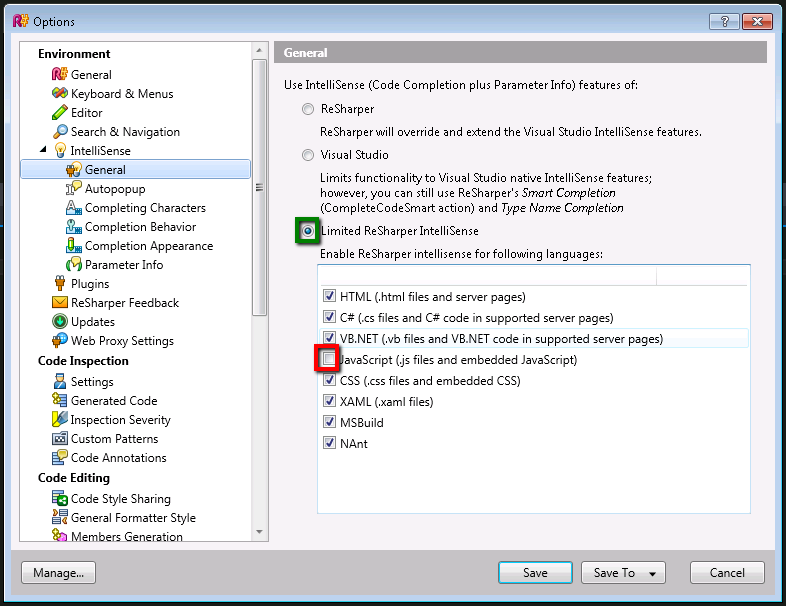 Update 15th August 2013: JetBrains has confirmed to me that this is an issue (unimplemented feature) in Resharper and that there are no plans on fixing/adding it to the tool. 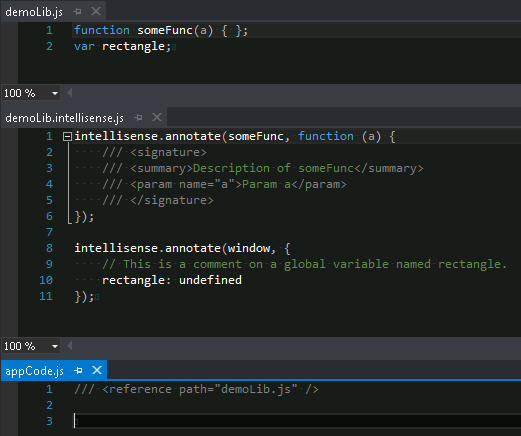 Here you see the three files (demoLib.js, demoLib.intellisense.js and appCode.js) setup in Visual Studio 2012. 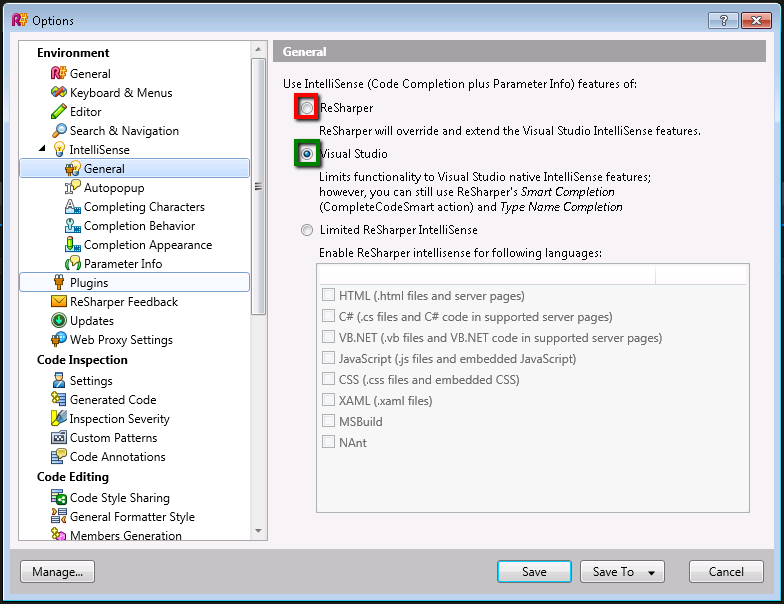 Visual Studio 2012 and Resharper 7 are both set to their default setting values.